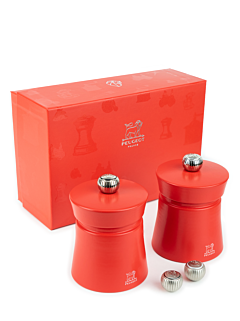 For the end of the year, Peugeot has designed an assortment of gift boxes to meet all needs and budgets. 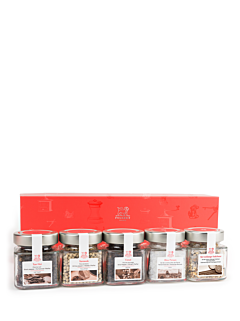 Mills with their pepper cube or with new Peugeot knives, whiskey tasting sets, collection of spices, oenology sets,.... the 2018 collection of Christmas boxes visit all table and kitchen universes now offered by Peugeot. Dressed in the Peugeot red boxes, delicately screen printed with Peugeot emblematic products, the 2018 collection of Christmas boxes are irresistible.